On Wednesday, October 12th, Professor Enrico Rukzio, head of the Human-Computer-Interaction Group at Ulm University, gave an invited talk. The topic of this latest talk in the series Dresden Talks on Interaction and Visualization was “Toward Extensions of the Self: Near-body Interactions for Augmented Humans”. We are happy that we were able to welcome a researcher of worldwide renown in the field of human computer interaction at our faculty. 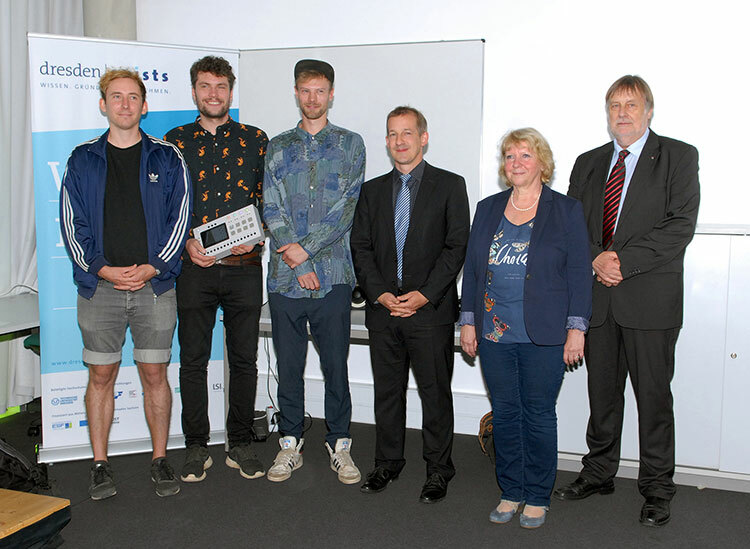 Thomas Meerpohl and Joshua Peschke worked on their diploma theses in our lab and developed a novel hardware and software system for digital music production and drum synthesis. Together with Clemens Schmiegel they founded the NEUBAU company and now try to hit the market with their innovative solution. Raimund Dachselt is one of their mentors supporting their efforts. On August 18th 2016 they received the 50th EXIST start-up grant of the TU Dresden. Congratulations on this success and all the best for your entrepreneurial future! 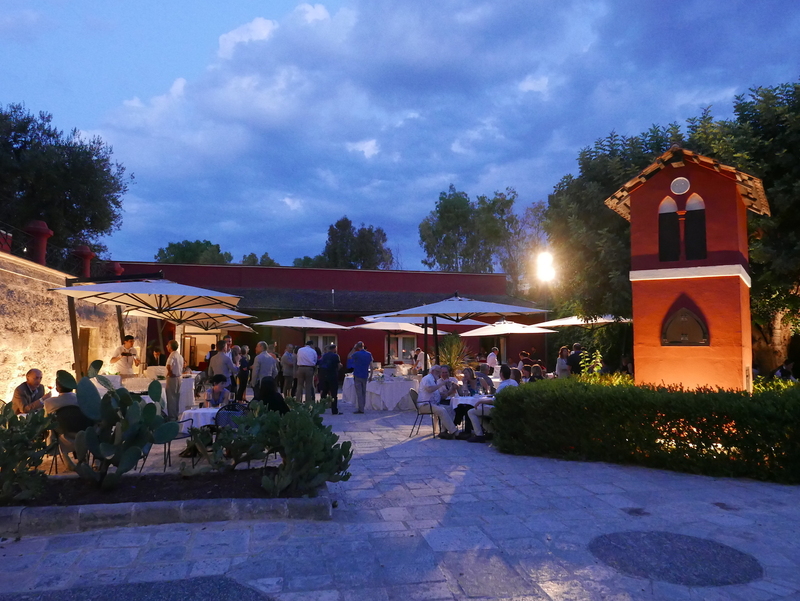 The AVI (International Working Conference on Advanced Visual Interfaces) took place in Bari, Italy from June 07 to June 10 this year. 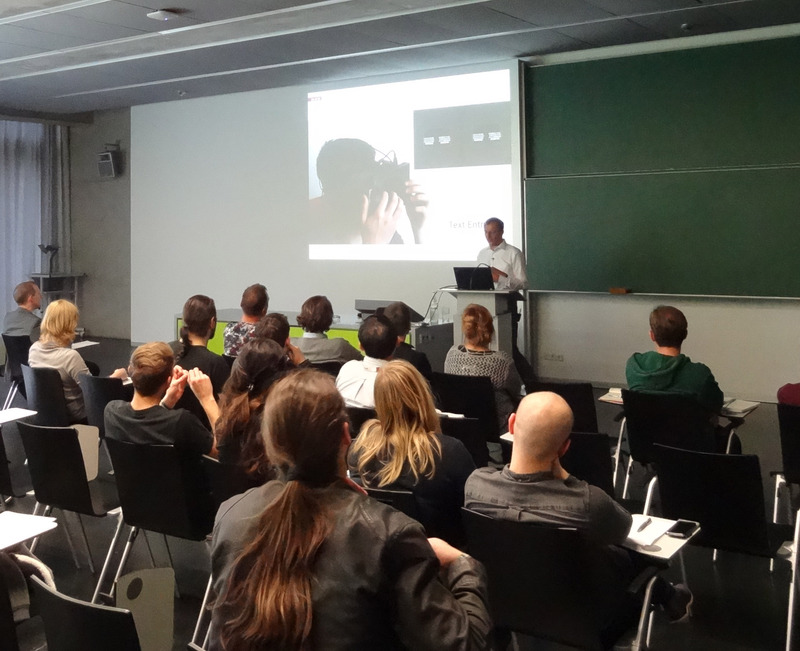 Ulrich von Zadow represented the Interactive Media Lab Dresden there. He presented the full paper “YouTouch! – Low-Cost User Identification at an Interactive Display Wall”. From May 7 to May 12, ACM CHI 2016, the largest conference in the field of human-computer interaction, took place in San Jose, California. This year, the Interactive Media Lab Dresden was represented by Wolfgang Büschel. He participated in the Second International Workshop on Interacting with Multi-Device ecologies “in the wild” and presented our position paper with the title Towards Cross-Surface Content Sharing Between Mobile Devices and Large Displays in the Wild. He also presented two posters at the conference: Embodied Interactions for Novel Immersive Presentational Experiences from our former colleague Fabrice Matulic as well as Smart Ubiquitous Projection: Discovering Surfaces for the Projection of Adaptive Content, which was produced in cooperation with the Computer Vision Lab Dresden. On February 1, 2016 the BMBF funded joint project fastvpn – Network Infrastructure for Industry 4.0 has started. The project address security in networked industry 4.0. The Interactive Media Lab Dresden investigates novel user interfaces to allow the fast on-site visualization and configuration of security level, network status, or bandwidth. On Thursday, February 25, Dr. Petra Isenberg of the AVIZ research group at INRIA Saclay, France will give an invited talk. It will take place in the council room of our faculty (APB 1004) at 10.00 am. The topic of this exciting talk is “Novel Display Technology for Visualization and Visual Analytics”. We are happy to welcome Dr. Isenberg to our faculty and invite all interested listeners to attend. This year’s Dresden Talks on Interaction & Visualization will be started by Professor Bernhard Preim, head of the Visualization Group at Otto-von-Guericke University Magdeburg. Professor Preim is going to talk about User Interfaces in the Operating Room and will present new developments in surgeon-computer interaction, including touch input, freehand gestures or myoelectric gesture control. The talk will take place on Friday, January 15, at 1:00 pm in room APB E023. We are happy to welcome Professor Preim to Dresden and invite all interested people to this talk. On Friday, December 18, Professor Michael Rohs will give an invited talk in the lecture hall of the Andreas Pfitzmann Building (APB E023) at 1 pm. The topic of this talk in the Dresden Talks on Interaction & Visualization series is “Mobile, Haptic Feedback”. Professor Rohs is the Professor for Human-Computer Interaction in the Faculty of Electrical Engineering and Computer Science at the Leibniz Universität Hannover, Germany. We are happy to welcome him to Dresden and invite all interested people to this talk. 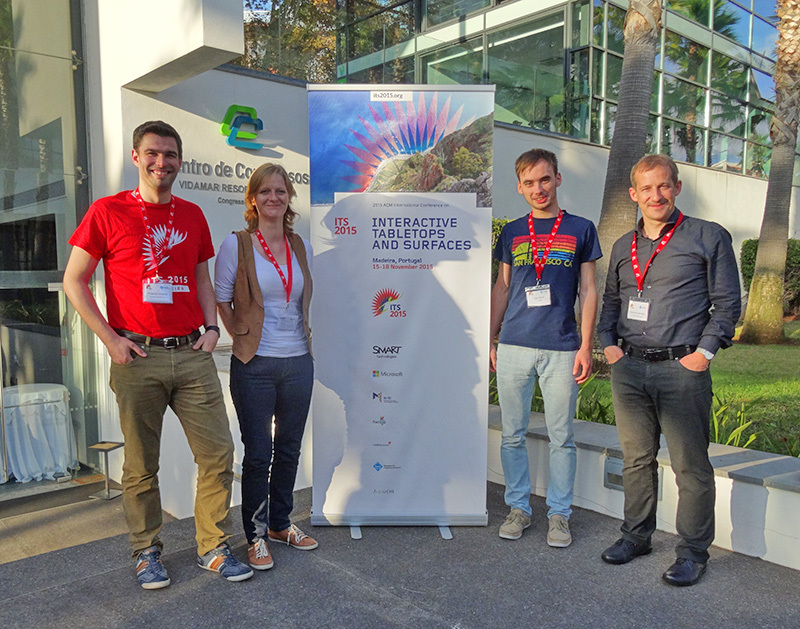 The anniversary edition of the ACM international conference on Interactive Tabletops and Surfaces took place in Funchal on the beautiful island of Madeira from November 15 to 18. Five of us represented the Inveractive Media Lab Dresden to present our research work (see gallery). Raimund Dachselt, Tom Horak, Ulrike Kister, Ricardo Langner and Fabrice Matulic presented our seven contributions (see news). Highlights certainly were our two full papers (BodyLenses and Eyes-Free Touch Support) that contributed to the attractive programm of this year’s ITS.